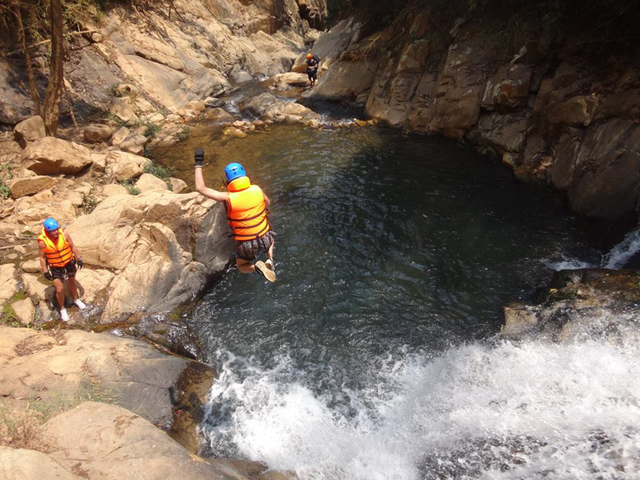 One-day trip, south of Da Lat, where you will navigate your way through a canyon and learn how to use the ropes. 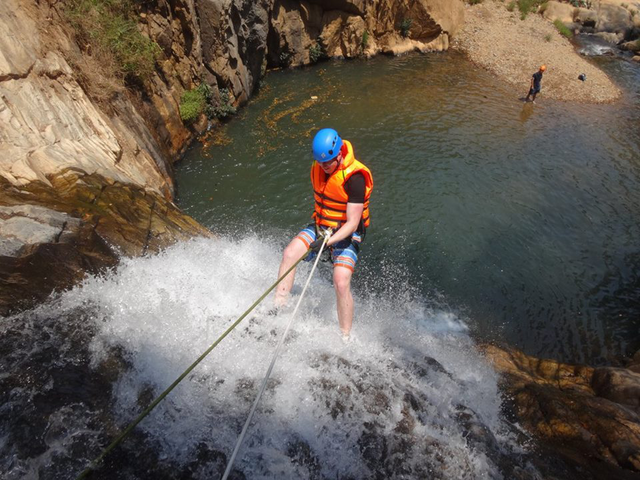 Water Abseiling / Canyoning is one of the most modern adventure sports that allow you to discover the wonders and mysteries of nature in its purest form. 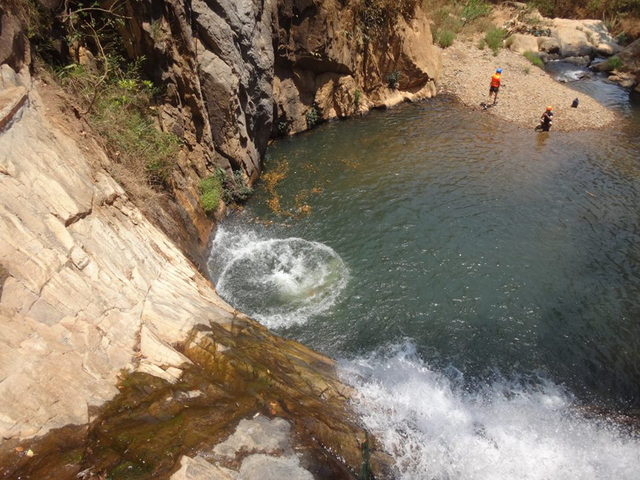 Trekking, jumping and swimming, you will discover fantastic canyons and face the challenges of incredible gorges. 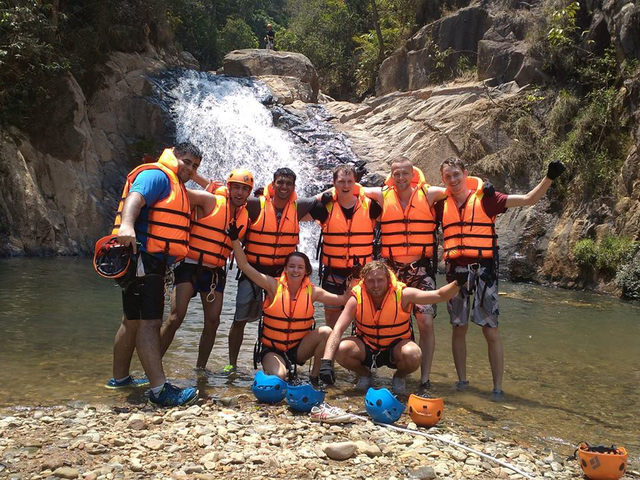 During this unique journey of unforgettable experiences you will be accompanied by Canyoning professionals and expert guides. 8:30 am: pick up at your hotel, and then drive for 25 minutes to Datanla waterfall. 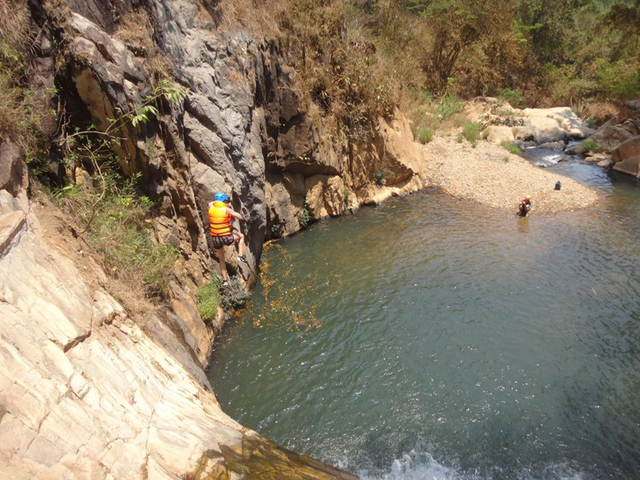 Check-in for canyoning at the practical abseiling point, then learn how to use the equipments. 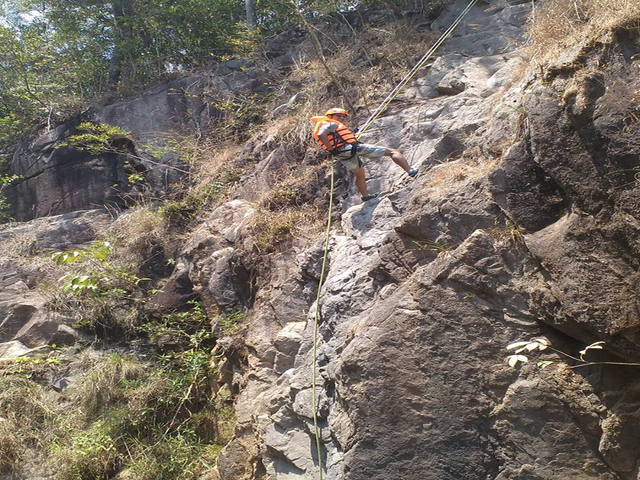 Enjoy the first dry abseil with the rappel of 18 high meters. 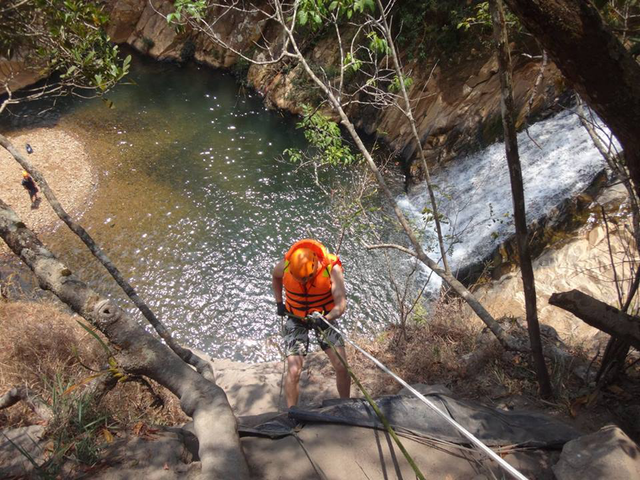 Do the water abseil with the rappel of 17 high meters, and then do the zipline across the falls down to the river (Tyrolean Traverse). Free swimming at the waterfall. Join water sliding down the waterfall. 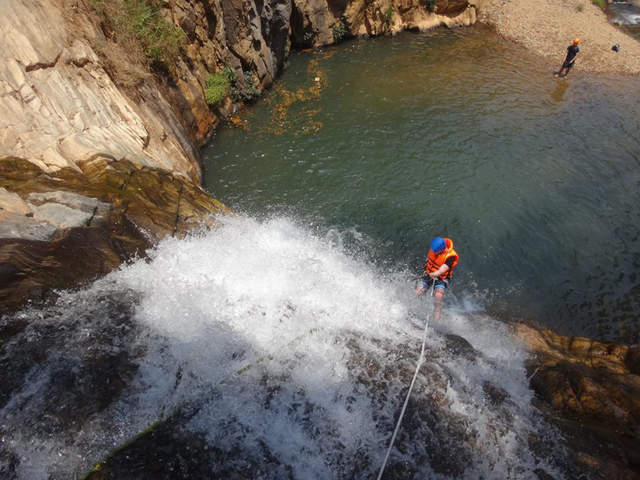 Get the real canyoning with the 20 high meters waterfall. Enjoy a 7 high meters jump into water. 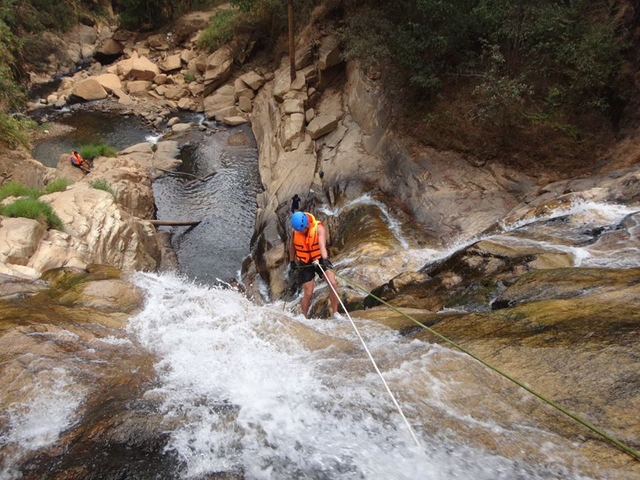 Do the last and most difficult waterfall abseiling (13 high meters) is affectionately known as The Washing Machine. About 40 minutes of trekking uphill to the van, back to your hotel. End the trip around 3:30pm – 4:30pm. Depart and End At : Pick up and Drop Off at Your Hotel. Finish Time : Around 4 pm to 5 pm. 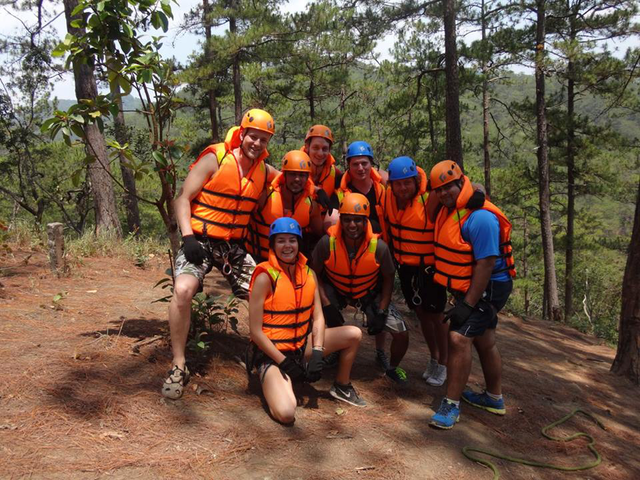 Activities : Hiking, Rappelling, Water sliding and Swimming. Hat, sunscreen, clothes for swimming, repellent, camera, sport sandals/water shoes. 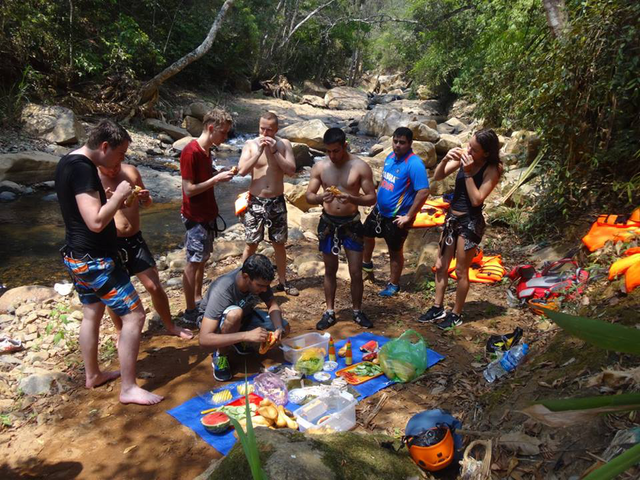 English speaking professionally trained guide, all necessary forest and tourist permits, first aid kit, fruit snack, purified drinking water, picnic lunch, transport as listed above and high-quality rappelling gear. 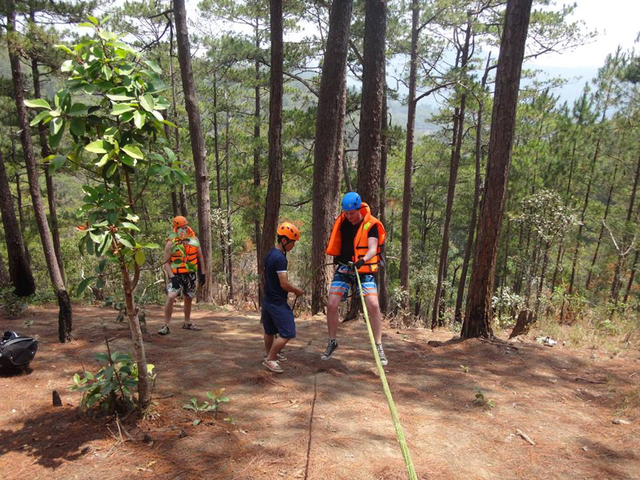 We are happy to show you our equipment, which meets the highest standards for testing and safety (Locking carabineers, European ropes, and professional rigging gear). Personal major medical including evacuation insurance coverage is recommended.